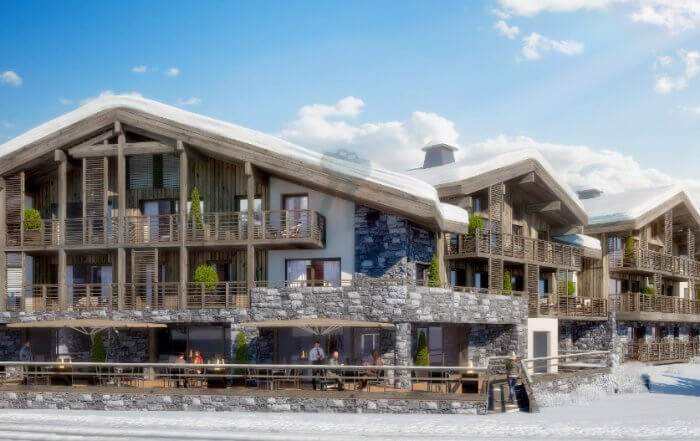 New launch of 25 Alpine apartments in Les Gets called Le Vieux Chêne, new luxury apartments centrally located by the Town Hall and next to the piste (access to Portes du soleil ski area). The apartments at le Vieux Chene (the old oak in French) are very generously proportioned internally yet can be combined together if you are looking for something even larger. Le Vieux Chene in Les Gets offers multiple orientations making the best of views over the surrounding mountains and allowing plenty of light for much of the day. They are also priced very competitively in comparison to other properties given the exclusive location and quality of finish. 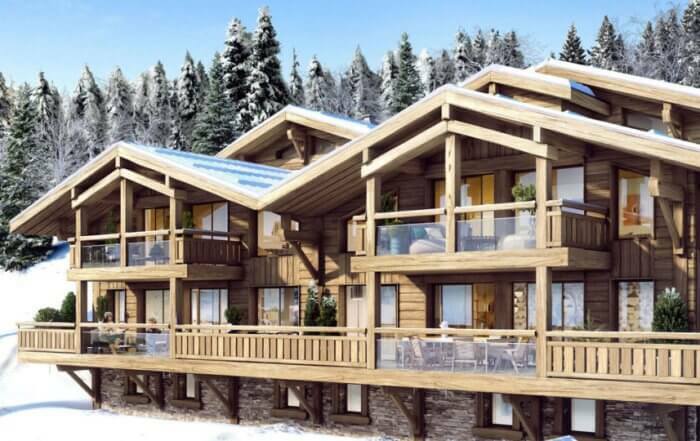 New launch of 25 Alpine apartments in Les Gets called Le Vieux Chene, new luxury apartments centrally located by the Town Hall and next to the piste. Owners have the choice to keep the property purely as a second home or generate some income using the onsite rental management agency. If renting, then we can introduce the system to reclaim the 20% VAT on the property purchase price if you wish, a considerable saving. French mortgages are available at up to 80-85% with rates fixed around 2.10% for 20 years. We expect the interest rates to move up a couple of points in 2018, there has currently never been a better time to lock in such long and low interest rates. Contact us for mortgage rates and simulations. Please find attached the development brochure as well as price list. Do let us know if you would like to see floor plans which we can send over or if you would like to organise a visit with our team in the Alps. We can create trophy apartments from 2-4 beds combining two apartments and drafting a new layout on a blank surface, contact us for more info. Possibility to claim VAT back and set up a fully rental management, mainly for investors with maximum 8 week personal use each year. Otherwise flexible rental management is also in place. Residents will also benefit from automatic garages, ski lockers, caves, car lifts and shops on the ground floor. Les Gets France: charming and exclusive ski resort part of the famous Portes du Soleil. Family-friendly (Les Gets ESF is a top ski school) and superb in summer too for mountain bike lovers (Les Gets weather can be pretty hot in summer). In Les Gets ski area (Les Gets lift pass can also give you access to huge Portes du Soleil ski area, Portes du Soleil piste map), ski right out of the village to have snowy fun amidst the fur trees and mountain meadows. See our Les Gets map above.